to participate in various co-curricular activities. These houses have been named after Kalpana Chawla, Neerja Bhanot and Dhruv Pandove. 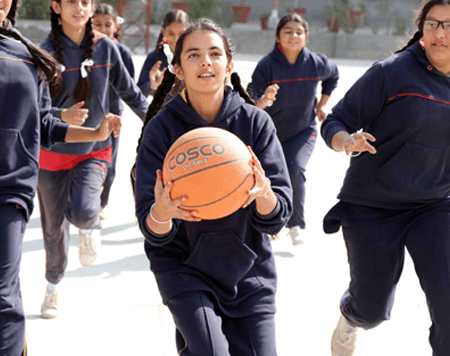 The participation enables the students to grow into integrated personalities. They are motivated to take part in Debates, Essay-writing, Dance, Music, Yoga etc. to name a few. Annual Function that is held during the months of October – November provides the students a common platform to explore their personalities and prove themselves. Every student has to participate in the function as there are no backbenchers in Kaintal School. Students are given an exposure to the outside world through various trips and excursions to amusement parks, educational and historic places. A cultural trip to Sochi (Russia) was organised in 2012 to participate in an international dance competition.